A new casting call for a 20th Century Fox feature film, shooting in Boston, has given more weight to the idea that we’re about to see the Marvel villain Demon Bear on the big screen for the first time in New Mutants. The franchise spinoff film is being written and directed by Josh Boone (The Fault In Our Stars) and so far, only two casting choices have been announced. For those unfamiliar, the New Mutants are a group of teenage mutant superheroes-in-training, who find themselves facing various villains and foe while coming to terms with their newly developing powers. Anya Taylor-Joy (Split) has been cast as Magik – the younger sister of Colossus (seen in the X-Men franchise and Deadpool) – who’s a mystic with teleportation skills, while Maisie Williams (Game Of Thrones) has been cast as Wolfsbane, a religious 13 years old who can transform into a wolf. But, when it comes to antagonists, New Mutants seems to be taking a path unlike any ever seen in a superhero movie. Demon Bear is a monstrous villain that shares a psychological connection with New Mutant Danielle Moonstar. In the source material, the character is the result of an anonymous villain mutating both her parents – the Bear then recurs in her nightmares, assuring her that he’ll come to destroy her. The Demon Bear draws power from negative human emotion, is incredibly strong, can engage in teleportation and transformation and can corrupt human souls. Early in the pre-production process, an animated snippet appeared online which seemed to show the way in which the Demon Bear might be depicted, along with a number of images. Now, Project Casting has issued a call that seems to fit the bill. The notice goes on to specifically emphasize that the role is principal in nature, and is for 20th Century Fox – though the title of the project is withheld. Is this Josh Boone looking for his Demon Bear? 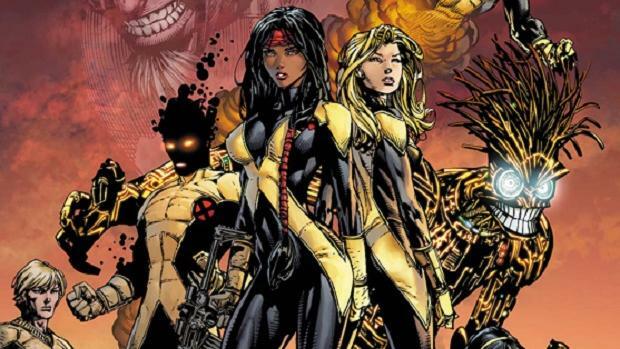 If so, who will play Danielle Moonstar in New Mutants? We unfortunately don’t have the answers to those questions just yet, but as always, watch this space for more.